Jaded Blossom: Guest Designer Tina! Hello everyone! I am so excited to be chosen as one of the guest designers for the month of December! 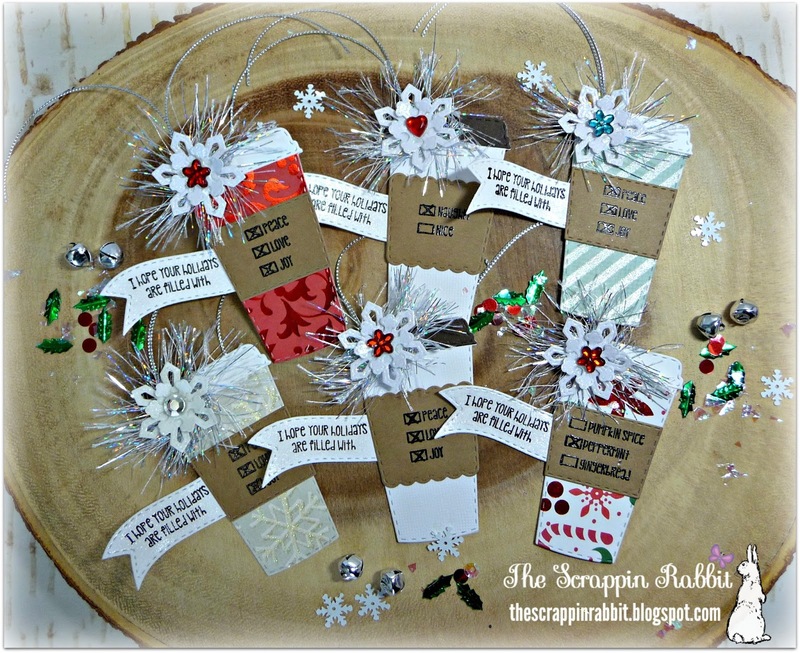 I made some Christmas tags using the Coffee Dies. They were so fun to make! The sentiments are from the Happy Brew Year stamps. I stamped and embossed on the banner from Mini Tag Dies 2 and on the coffee sleeves. The sparkly eyelash trim was a perfect backer for the snowflakes from the Winter Dies. I topped off with some bling and they made perfect embellishments for my tags! These are so cute, great video! Congrats on being one of JB's December guest designer's, what an awesome start! These are awesome!!! Love them! These turned out just fabulous! love all the amazing details! 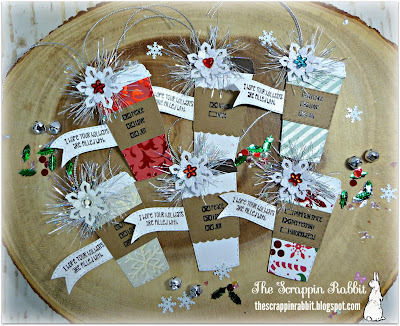 What a fun gift tag idea!!! They look fantastic!!! Very cute tags! So festive!